This Sulfate-free shampoo gently cleanses hair and nourishes. 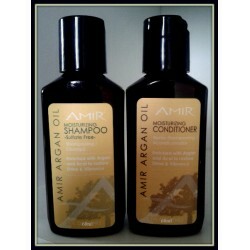 Amir's Argan Oil, Acai Berry and keratin elixir repairs and hydrates while purifying hair to enhance its softness & shine. Directions: Massage small amount into wet hair. 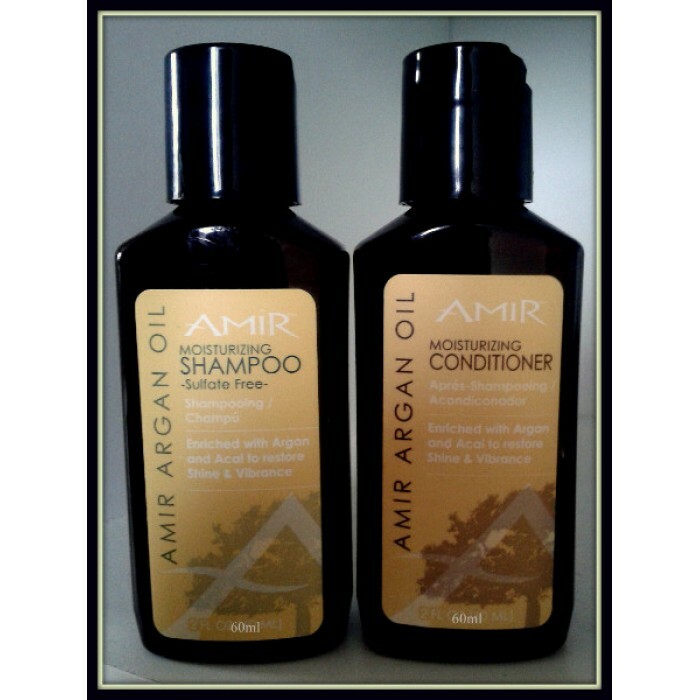 Follow with Amir Argan Conditioner. Beautify and nourish hair with Argan Oil & Acai Berry Extract. Leaves hair silky with a healthy shine that adds vibrancy to colour without weighing down. Moisturises brittle & dry hair and protects with potent antioxidants, while Keratin reinforces the hair from the inside out. Directions: Shampoo and rinse hair. Squeeze out excess water and massage a generous amount into hair, starting from the ends down to the roots. Leave on 1 minute and rinse thoroughly.